This is the perfect way to enjoy the sweetness of apples with the spiciness of cinnamon. Raw apples are a powerful superfood and cinnamon brings with it a host of health benefits! 1. Wash apples, cut into quarters, and remove seeds. 2. 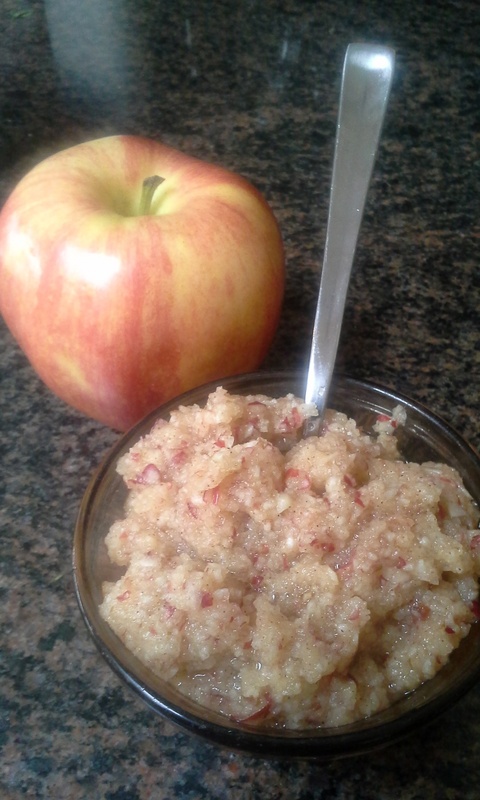 Place apples in food processor. 4. Add cinnamon and orange juice. 5. Continue pulsing until desired smoothness is achieved. 6. Grab a spoon and dig in! 7. Refrigerate for up to a week.